Though Virginia Gov. 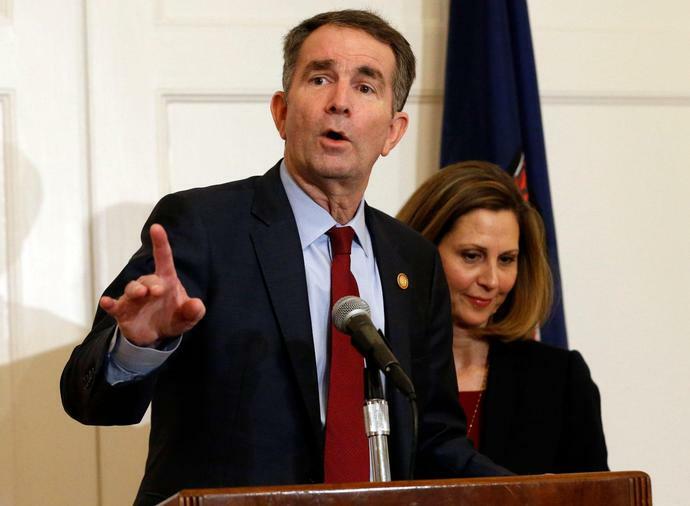 Ralph Northam, and now Virginia Attorney General Mark Herring, are at the center of this latest controversy, the true problem does not begin or end with these two men. It did not begin or end with Michael Brown, Eric Garner, Sandra Bland, Philando Castile or the litany of other Black lives. It did not begin or end with the tacit endorsements of white supremacist violence from our nation's highest office. None of these events caused the racially charged violence plaguing our country. Instead, they are the consequence of our nation's collective unwillingness to recognize that 400 years of dehumanizing language and imagery have a cultural impact that expresses itself through explicit and implicit bias. One can reach back to imperialism, slavery, segregation or the Jim Crow era, but it is not necessary. Flashpoints exist as recent as President Ronald Reagan and his words in Neshoba County, Mississippi. His callback to "states' rights" - an assertion historically associated with the perpetuation of slavery - made in a former Confederate state with a close and continuing relationship with terrorism and lynching, was an ill-thought, inconsiderate choice of words at best and a calculated, intentional threat at worst. This racialized imagery resurfaced in the late 1980s during George H.W. Bush's campaign against Massachusetts Gov. Michael Dukakis in an ad featuring an intentionally menacing portrait of Willie Horton. The image was to tap into the cultural fears that previous depictions had established within the public's mind: that Black people are inhumane criminals. President Bill Clinton fueled the fires of bias in the cultural collective with his 1994 crime bill. Ostensibly presented to keep communities safe from the "superpredator," the bill, with its incentives for harsher punishments and its three-strikes mandatory sentencing, once again correlated criminal behavior with African-Americans. Clinton's words and actions built on previous "war on drugs" legislation, the already growing trend of mass incarceration and the criminalization of being born with black or brown skin. This criminalization phenomenon is not a partisan issue. The fact that Reagan's and Clinton's words and Bush's imagery encountered little resistance, and even less self-reflection, enabled others to act upon their racial bias with approval of the nation. It is today's climate of acceptance for racialized words and images that empowered George Zimmerman to gun down Trayvon Martin with both impunity grounded in the repeated correlation of Blacks and criminality. The cultural consequences of racialized language and imagery have manifested as a zeitgeist that is devastating the African-American community and fueling the need for movements and organizations such as Black Lives Matter, Dream Defenders, BYP100 and United We Dream. That is not to say that there have not been some bright lights in this darkness. The election of the nation's first African-American president, Barack Obama, was a significant step toward a truly inclusive democracy. Similarly, the FIRST STEP Act, too, will hopefully live up to its name and pave the way for more criminal justice reform. This forward movement toward the promise America has always held is a welcomed and imminently laudable accomplishment, but it does not banish the shadows of racism and intolerance that lurk in this country's corners. Indeed, their light makes these shadows darker by contrast. The darkness implicit in uncontested racialized speech and images carries consequences that reach all people of color. Trump's many statements and tweets calling a caravan of immigrants "stone cold criminals," his policies separating immigrant families and placing children in detention centers, and his repeated calls to "build a wall" are all a continuation of America's embrace of racialized words and images. It is a doubling down on the dehumanization of people of color in the media.